We believe that God cares more about what is in our hearts, than the clothes that we wear (1 Samuel 16:7). We do not have a dress code. 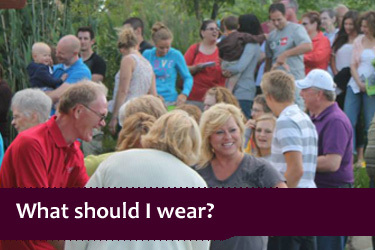 You’ll see some people wearing dress clothes, and some wearing shorts– just dress comfortably.